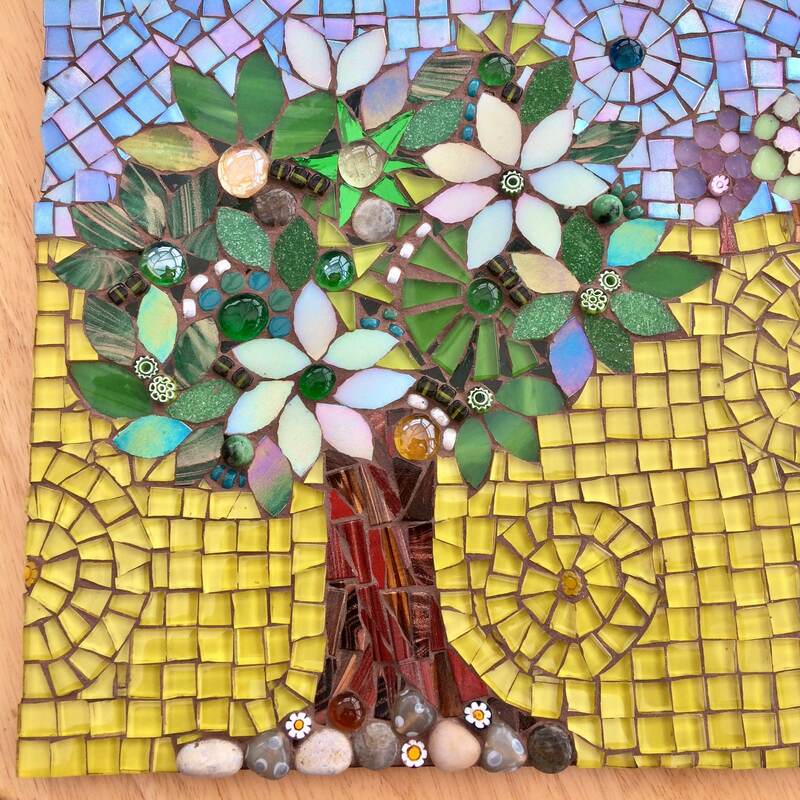 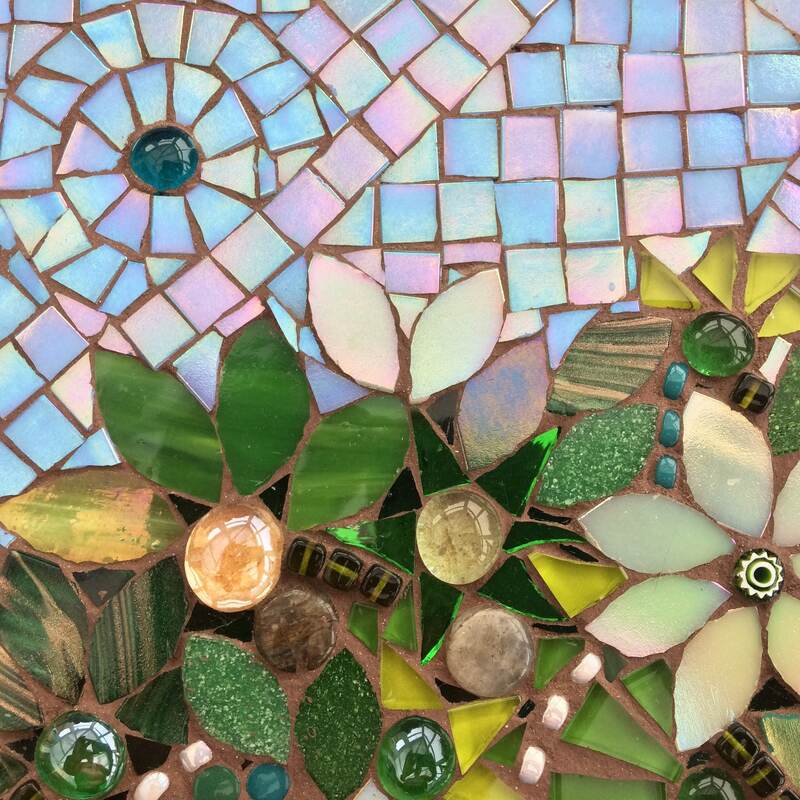 It is an original mosaic design inspired by my love of trees and their variety of colours and shapes. 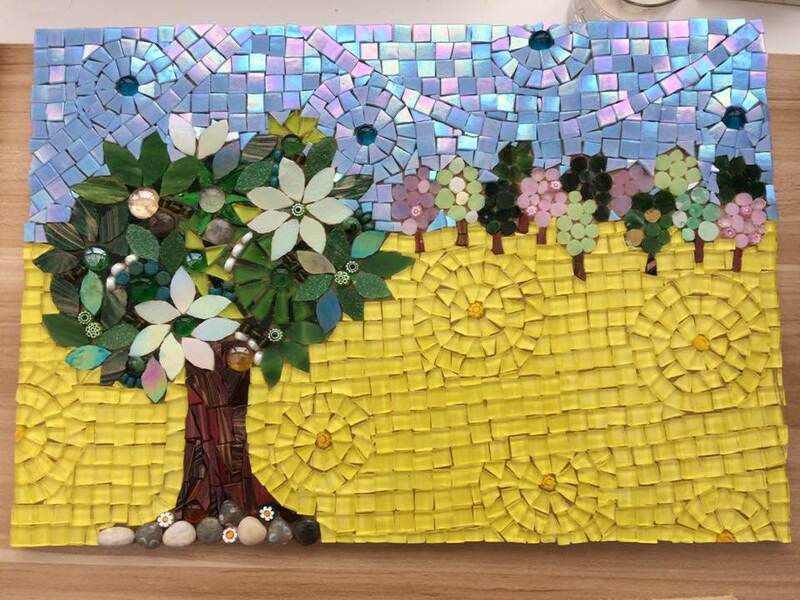 I have used lots of different types of glass tiles eg iridescent, stained glass, murrano glass which all catch the light in different ways which makes the piece really shimmer and shine. 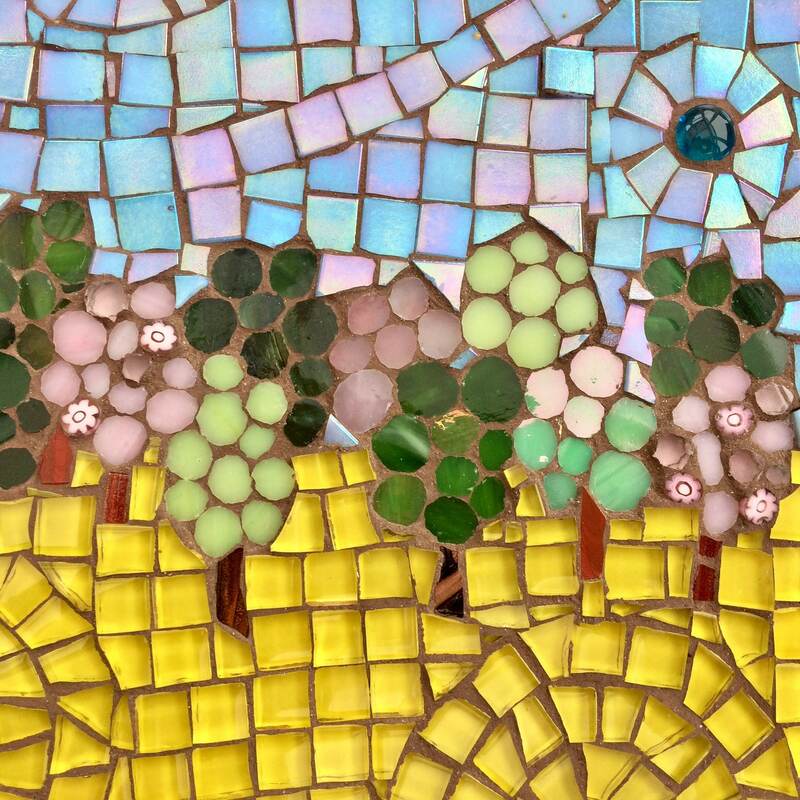 The sky is a shimmery blue and the field is represented by circular patterns of yellow, grouted in dark brown to really break up the yellow and make it 'pop'. 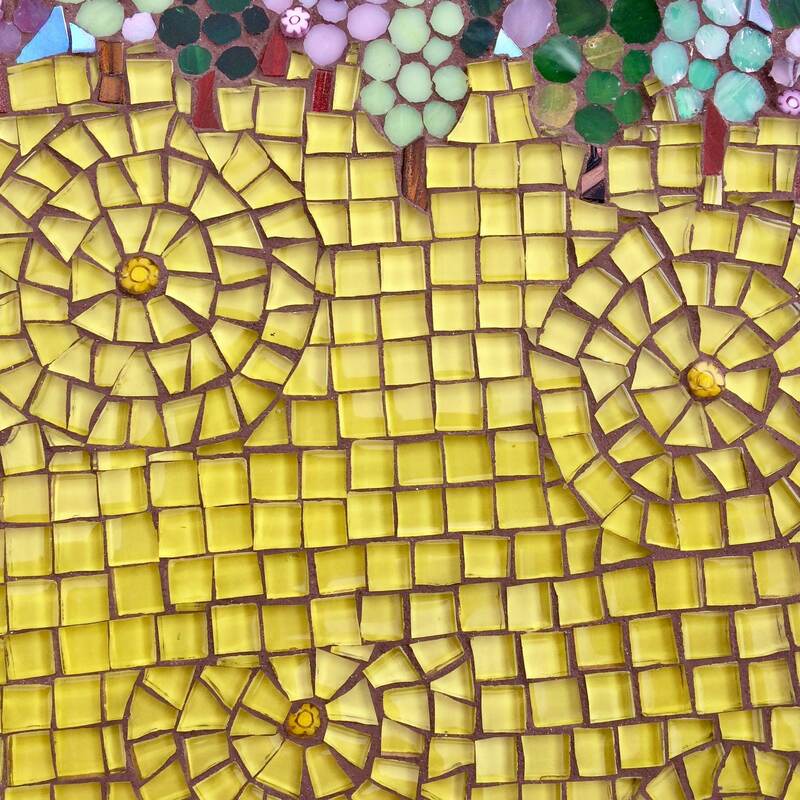 Measures 41 cm by 29 cm. 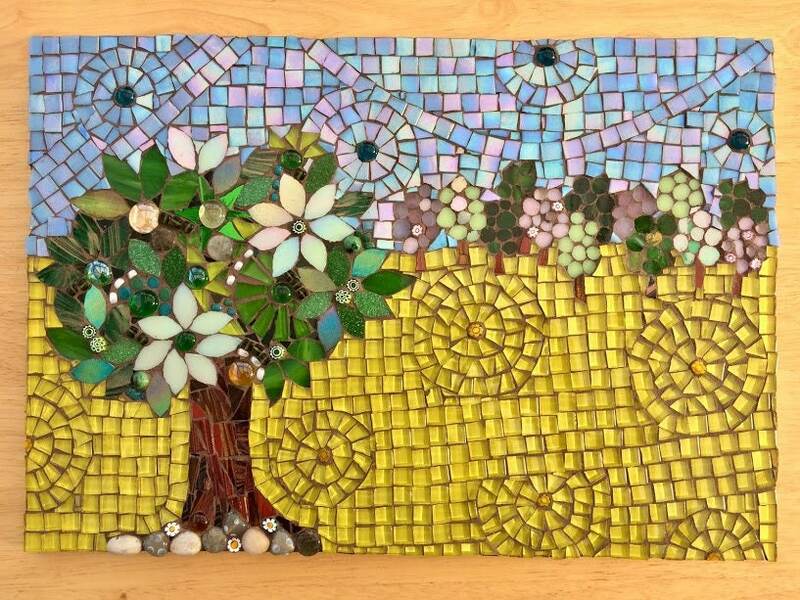 Made with hand cut glass tiles, coloured glass stones and pebbles collected from the north Norfolk coast - which are glued onto a MDF board, then grouted in brown.